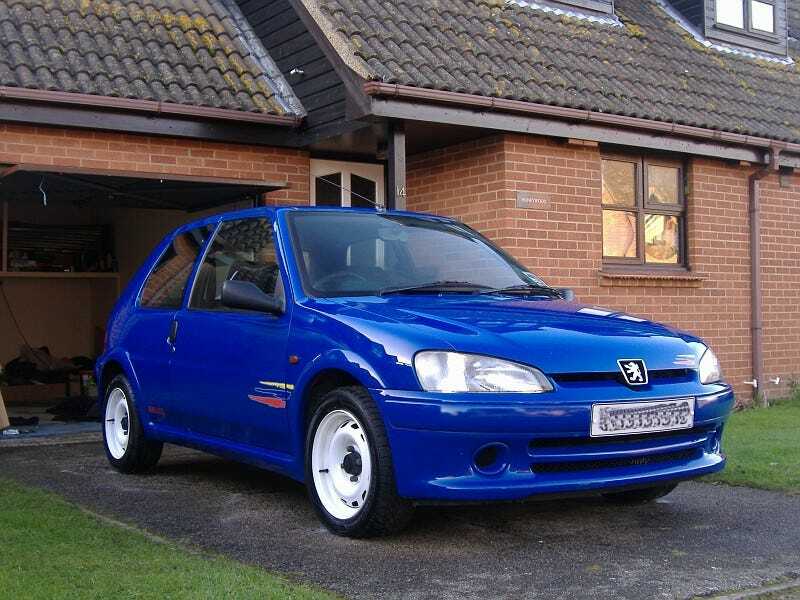 Now that there's sometimes a 106 rallye like this parked up on a road I ride by daily, I've started wondering if I should get rid of my hub caps and paint the steel wheels white. My car obviously isn't as cool as the rallye but I think the look might suit it. My car looks kinda like this without the alloys and roof bars.